Sign with logo for ecommerce company Amazon at the company's regional headquarters in the Silicon Valley town of Sunnyvale, California, Oct. 28, 2018. After much anticipation and speculation, Amazon has announced that Arlington, Virginia, and the Long Island City neighborhood of Queens, New York, are the official locations of the company's next headquarters. These new offices will provide more 25,000 job opportunities in each location. Right now, employees living in the Arlington, Virginia, area and the New York City area earn average annual salaries of $60,890 and $63,029, respectively, according to Glassdoor estimates. Job description: According to Glassdoor, product management leaders at Amazon "will be responsible for building the tools and systems to provide the best and most compelling selection to [the company's] global customers." Job description: According to Glassdoor, senior software engineers at Amazon "will leverage a breadth of technologies including object oriented design and coding, databases, mobile devices, tablets, Kindle, streaming video technologies and Amazon Web Services." 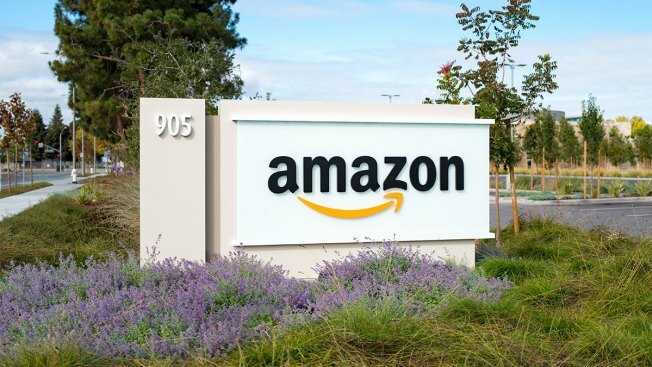 Job description: According to Glassdoor, senior solutions architects at Amazon "will provide exceptional technical design and thought leadership while working with a world class sales and business development team." Job description: According to Glassdoor, corporate counsel at Amazon "will partner with the legal team and their business operations clients to achieve operational excellence, ensure compliance with state and federal regulators, consider legal issues of first impression and move strategic deals through to completion." Job description: According to Glassdoor, principal technical program managers at Amazon "will define features and processes, drive projects end-to-end, collaborate with technical teams to implement solutions, and deeply analyze the results." Job description: According to Glassdoor, principal product managers at Amazon provide "coordination across internal teams and stakeholders to prioritize roadmap features, and spearhead the definition of new capabilities through expertly crafted business requirement documents." Job description: According to Glassdoor, software development managers at Amazon will "be accountable for building product, engineering and data science teams that deliver results." Job description: According to Glassdoor, principal software engineers at Amazon "will learn a lot about designing and developing massively distributed systems, big data systems, web services and cutting edge web technologies while pushing the boundaries of scale and performance." Job description: According to Glassdoor, senior engineer managers at Amazon should be experienced professionals who have "a proven track record of architecting and building software using cloud technologies." Job description: According to Glassdoor, principle software development engineers at Amazon will "lead system design, drive a high technical standard on their respective teams, mentor junior staff, and craft/ship great code." Job description: According to Glassdoor, senior software development managers at Amazon need to be "a technical leader with track record of building and growing engineering and data science teams."